View More In Small Animals. 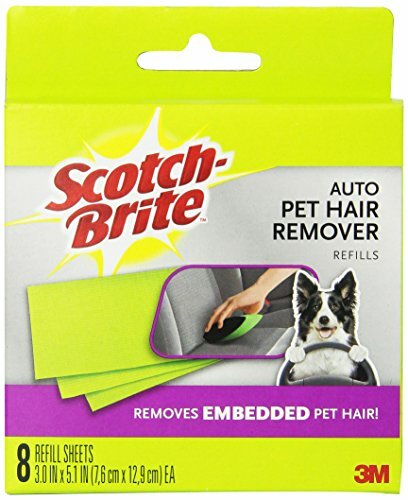 Scotch(TM) Fur Fighter(TM) Pet Hair Remover for Auto Interiors is the fast, easy way to pick up the pet hair, dust and dander that gets embedded into cloth car seat fabrics and floors. Plus, you can store the refill sheets right inside the handle. Keep it in the glove box for a quick clean anytime you need it.